Montaña Despierta, our sister Affiliate in Xalapa, Mexico, led by Sergio Stern, recently celebrated their 10 year anniversary. They compiled a photo album as part of the Celebration. Each of the images is “clickable” to see it full size. Congratulations, Montaña Despierta, on 10 years of sincere practice! 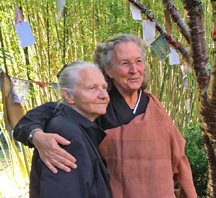 Last November a number of people gathered in the Green Gulch Farm garden to dedicate a new Jizo garden, and to honor Yvonne Rand for her decades of influential, formative practice at San Francisco Zen Center and for her development of the practice of Jizo ceremonies. Many people were present—many who have known and been influenced by Yvonne as well as many who have taken part in and benefited from the Jizo Garden and the Jizo Ceremonies for Children and Those Who Have Died. Yvonne was present and spoke at this moving event. 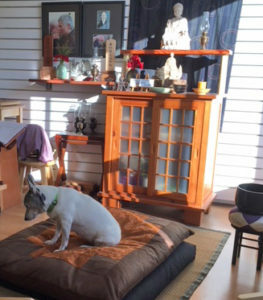 NPR recently did a segment titled: “Many Look to Buddhism for Sanctuary from an Over-connected World,” which prominently featured one of our sister Affiliates, All Beings Zen Sangha in Washington, DC. Read or listen to the story here. 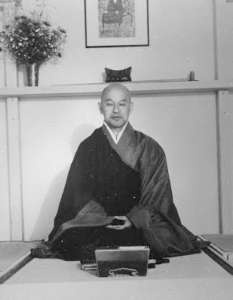 One of Suzuki Roshi’s original “extensions” of Zen practice outside of San Francisco was a sitting group in Los Altos, which began in the mid-1960s. As one of the very first “branching streams,” this center, in the heart of what would soon be known as Silicon Valley, has been providing opportunities for comtemplative practice for the San Francisco mid-peninsula and South Bay for over fifty years. The following article by Steve Weintraub was recently published in San Francisco Zen Center’s Sangha News. Here is the complete article, which gives some history and news about Branching Streams. Suzuki Roshi’s Way is flourishing. 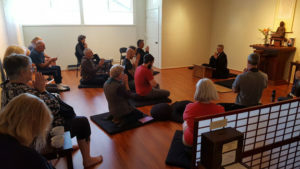 San Francisco Zen Center’s “Branching Streams” Network of Affiliate Sanghas is now comprised of 75 Dharma centers, ranging in size from meeting-once-a-week small sitting groups to established centers with their own Abbesses/Abbots, Boards of Directors, dedicated property, and numerous weekly Dharma offerings. There are now 65 Affiliates in the United States and another 10 in Europe and Central and South America. Branching Streams—the name comes from a line in a poem by eighth century Zen Master Sekito Kisen—grew out of a recognition, in the mid-80s, that sanghas affiliated with San Francisco Zen Center, around the country and around the globe, were burgeoning, and that they both wanted and would benefit from a closer connection to SFZC and to each other. The mission of the Branching Streams programs is to encourage and support the development of these Affiliate sanghas. Every other year we hold a large “Gathering of the Branching Streams.” We completed such a conference in early September 2017 in Chicago, hosted by the thriving affiliate, Ancient Dragon Zen Gate. Forty Branching Streams Leaders were in attendance; we practiced zazen together, had meals together, and informal time. Our two main topics for this particular gathering were the “right use of power” and “Zen practice and social engagement.” There were intense discussions in group sessions both large and small, on these and related topics. People left the Conference feeling more connected to the Dharma and to each other; energized and encouraged. A Fellowship Program that allows senior SFZC-trained practitioners to spend up to six months at a given affiliate, for the mutual benefit of both the senior practitioner and the affiliate. 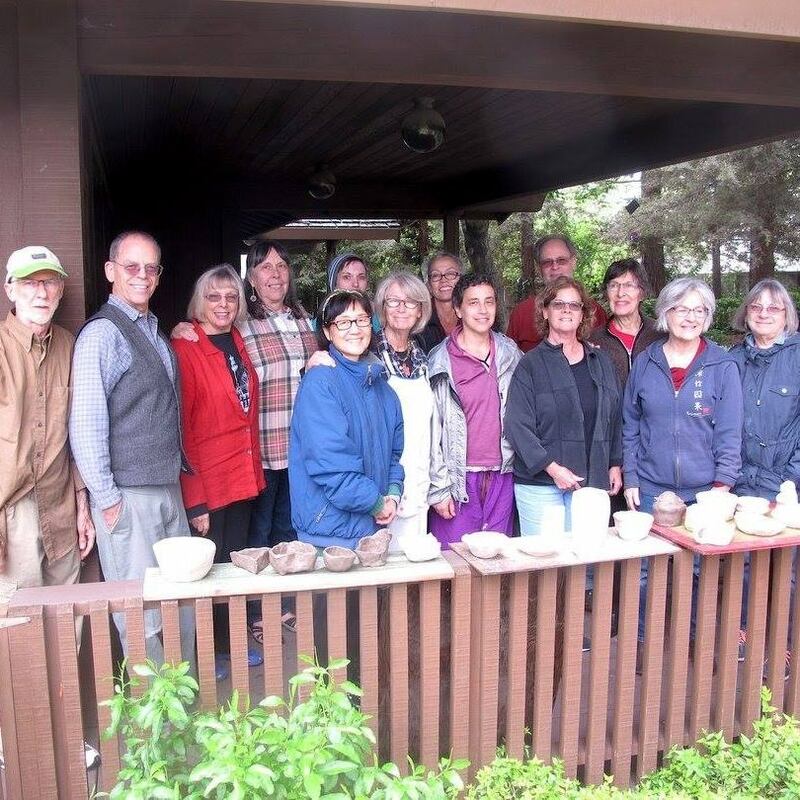 A Tassajara Program that allows a Branching Streams teacher to visit Tassajara during the Summer Guest Season with members of their own sangha, participate in Tassajara practice life and have time as well to meet and study with each other. A Program that provides lineage documents to Teachers in Branching Streams, for lay and priest ordinations they perform. A Branching Streams website to promote communication to and among the Branching Streams Affiliates. 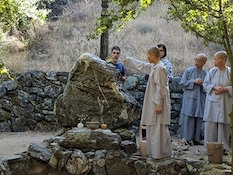 Liên Shutt is the Teacher of our sister Affiliate sangha, Access to Zen. 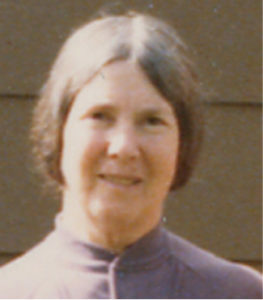 She has transmission in the Suzuki Roshi lineage through Blanche Hartmann but also studied for a number of years with a Vietnamese zen teacher, Ni Su Thuan Tue. Recently she visited Tassajara with that Ni Su Tue and sent us this report. Zenho Eric Jonas, a practitioner at All Beings Zen Sangha in Washington, DC, has taken on the responsibilities of Web Coordinator for the Branching Streams website. He would love to hear whatever feedback you have to offer on the website, including content or features you would like to see added, or difficulties you encounter in using the website. Please email him to share anything you would like to share related to the Branching Streams website. 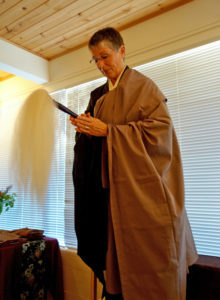 Shinshu Roberts, co-head teacher at Branching Streams sangha Ocean Gate Zen Center, (more on OGZC here ) has authored a book on Dogen’s Shobogenzo fascicle, Uji, Being-Time. Shinshu’s book has received wonderful pre-publication praise from a number of teachers and practitioners. Here is one: “In Being-Time, Shinshu Roberts gives us a wise, kind and wonderfully patient guide to one of Dogen’s most important and enigmatic texts. Now, more than ever, these profound old teachings are relevant to our lives in the here and now. This is a book I will treasure and return to time and time again.” — Ruth Ozeki, author of A Tale for the Time Being. Shinshu’s book will be published in March, by Wisdom Publications (and is currently available for pre-order on Amazon). 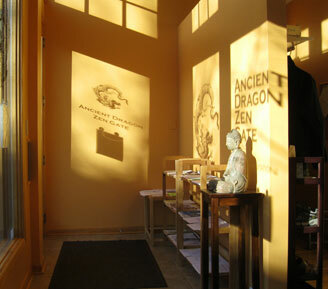 Open Zen Community is a small and dedicated Sangha of lay practitioners in the San Francisco Bay Area. All of us work full-time as part of our Zen practice. 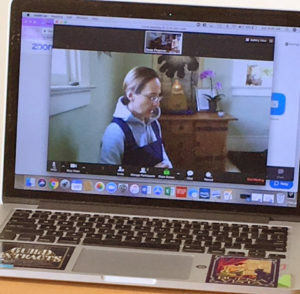 We meet online each evening to chant the refuges together at 8:25 p.m. and meet online for zazen and service at 9 a.m. on Saturday and Sunday. We sit together body-to-body for one-half day every second Sunday and hold zazen, kinhin and a Dharma talk on the fourth Sunday of each month at 3 p.m. Our particular emphasis is awakening where you are, as you are, and we examine the question of awakening in lay American life often. All are welcome to join in this dynamic practice of everyday life. Please visit our website at http://www.open-zen.org. On November 11, 2017, Myosho Baika Andrea Pratt-Heaton ascended the Mountain Seat at Mt. 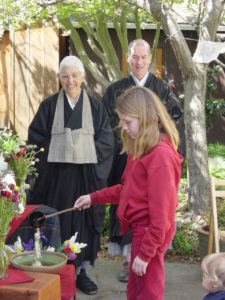 Diablo Zendo in Pleasant Hill, California, in a ceremony to mark her new position as Abbess. Both Myoan Grace Schireson, her Honshi (root teacher), and Sojun Mel Weitsman attended this heartwarming and intimate ceremony. Baika has worked very closely with these two teachers since 1987 when she began her practice at the Berkeley Zen Center. 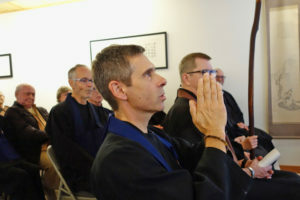 Gratitude to Hozan Alan Senauke of the Berkeley Zen Center, who held a significant role as instructor and who helped create a customized ceremony for this small temple and its sangha. Gratitude to Sekibu Alice Tulloch, who organized sewing of a nine-panel robe for the new Abbess. 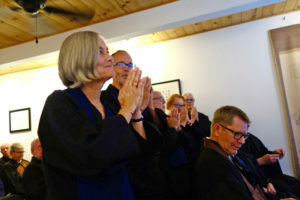 And gratitude to the nearly forty sangha members, family and friends who attended and participated and who left for home with feeling of warm connection. Great congratulations to Myosho Baika and Mt. Diablo Zen Group! 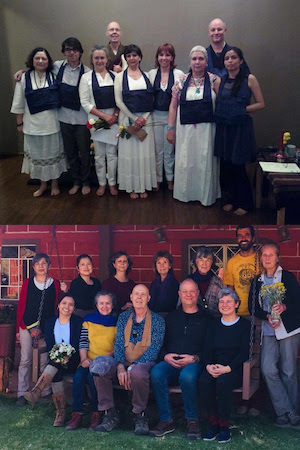 NOTE for Summer 2018: Marcia has volunteered the past two summers to visit and practice with a number of Branching Streams sanghas (see her story below about her 2017 visits). She is offering to do the same in 2018. If your Sangha is interested in the possibility of a visit from Marcia, please let Steve Weintraub know. At one of the evening sessions at the May 2015 Branching Streams meeting, some of us who had begun practicing when Suzuki Roshi was alive reminisced about our practice with him. It was recorded and you can download the audio here. The Dharma Center is an independent, non-profit whose mission isto create a sanctuary for meditation and Buddha’s teachings, welcoming everyone who seeks to end suffering and live in harmony. 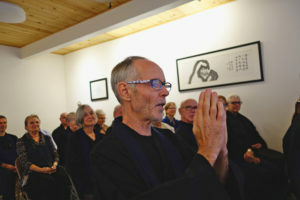 In support of its mission, a number of programs are offered including a Dharma en Español group, a people of color sangha, a family sangha for practitioners with children, and a climate change sangha. As the Dharma Center’s tagline expresses, “Buddha’s Wisdom & Compassion in Community” is manifesting. 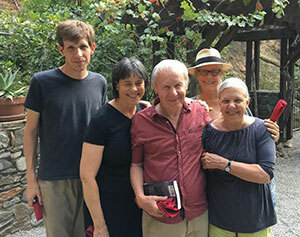 Valley Streams’ guiding teacher is Abbot Myo Denis Lahey, whose home temple is Hartford Street Zen Center, located in San Francisco’s Castro neighborhood. Rev. 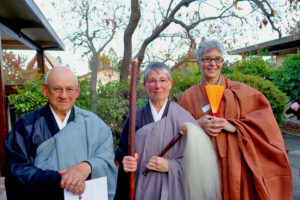 Myo is a fully entrusted Zen teacher, having received Dharma transmission from Tenshin Reb Anderson, Senior Dharma Teacher at San Francisco Zen Center. Locally, Rev. Jim Hare serves as Practice Leader and co-leads our practice in consultation with our guiding teacher and our board of directors. Jim has practiced Zen for 35 years, was head student during the spring 2002 practice period at Green Gulch, and was recently ordained by Rev. Myo Lahey. For more information visit Valley Streams Zen Sangha.